On the product pages, only those reviews show show up that are in the current display language. Ratings should continue to be aggregated across languages. This will involve database changes, and hence I've marked it as a major feature from development perspective. rating, product_id, status etc should remain in the original review table. Of course, there is the alternative of just adding the field language_id to the table review, and then changing the way reviews are displayed, and (not changing how) ratings are calculated. I think this method might be easier to implement, and easier also for upgrading/ backwards-compatability. Since it is your customer who writes the review, chances are they will write it in THEIR LANGUAGE. Are you suggesting that customers should write their review of your product in EVERY language you support? Or are you suggesting that the store owner (ie. you) should rewrite every review in every language that you support? I am suggesting that the language of the product page be tagged when a customer writes a review. If a customer writes a review on an English product page, it is tagged as English review, if (s)he writes it on a German product page it is tagged as a German review. And subsequently on English pages only English reviews are shown and on German reviews are shown on the German pages. I am NOT suggesting that each review be written in all installed languages the way product descriptions are written in each language. Rather, I am saying that if a user is visiting an English product page, we should assume (s)he understands English and is interested in English reviews and show only reviews written in English rather than a mix of English, German, Dutch and French reviews in a haphazard fashion. In technical terms, I am not asking for a multipart form like Shop Admin for Products/Categories/Information. NO! The review form on the product page should be just one, the user should submit just one review. What I am talking about is output filtering, not input. For the ratings though, when calculating the average rating we should use ALL ratings/reviews irrespective of language. Hope I have managed to make myself a bit clearer. So, I visit your site, view it in English (as that's the language I speak) and write a review for one of your products. Another customer comes along and views your site in another language, where's the review I wrote? Not visible - because I (the customer) speak only German and cannot read (and understand) your review in english. Therefore nothing for my interest. But i cases where visitors do speak several languages, maybe an option to show all reviews in all languages (not only in mine). fido-x wrote: So, I visit your site, view it in English (as that's the language I speak) and write a review for one of your products. Another customer comes along and views your site in another language, where's the review I wrote? OSWorX wrote: But in cases where visitors do speak several languages, maybe an option to show all reviews in all languages (not only in mine). Not critical at all. For me at least. I think what I have asked for above covers 90% of the cases. First of all, I see all the German reviews. Then after all German reviews, there's a header that says "Reviews submitted in other languages:"
This is followed by all other reviews. After the name of each author, name of language is stated. Now, that is a far better idea than what you first suggested. Why do you think the stars are there? Would you not think that a one star with a lot of writing in a language that you do not understand would mean the same as 5 stars in that same language you do not understand? To have this it would mean a lot of coding + sql adjustments plus I think it is a nice feature to have, but there are more important ones atm. Why have reviews at all then? Why not only ratings (stars)? Reviews serve an essential purpose in that they make the ratings "real" with some vivid experiences and personal stories. However, this is lost if reviews are all mixed with each other and you don't understand most of them. Thus, from my perspective, the stars should be calculated based on all feedback provided. But only those reviews should be shown to me that I understand. If a user visits EN page, show only EN reviews. 1. one simple database change, which is to add language_id field to table review. 2. when customer submits a review, capture page language and save it along with other fields. 3. when displaying product page, add language_id in the sql statement that calls the reviews data. i2Paq wrote: Would you not think that a one star with a lot of writing in a language that you do not understand would mean the same as 5 stars in that same language you do not understand? I agree. That's why I originally suggested that OC should show only the reviews written in the page's language. That being said, I think it solves 90-95% of my issue if we just show what's been written in the same language as the page. I've gotta say, I'm quite relieved to hear that! Should I construe this to mean you are working on a solution? OSWorX has a modificated version of OpenCart that is designed for the European Community. He probably means he will add the multi-lingual reviews to his version. No offence to OSWorX but forking does not really help the project. The core product supports so much internationalization that an "International Edition" isn't needed. There are just a very short wish list that we who use OpenCart from non English speaking countries still have, when it comes to OC. And I hope this can be implemented in the core version itself. So I hope someone provides me help here within OC! 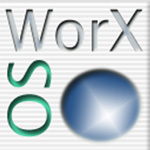 sooskriszta wrote: No offence to OSWorX but forking does not really help the project. I agree, knowledge and effort gets lost while not many will use a fork just because they have now idea if support will continue. Personally I think it would be better if certain modifications would be released to the OC community instead as a fork. Daniel/Q, Can you please at least capture the review language (i.e. language of the write review page) into the database (1.5.0) even if it is not used for now?